Students are the future hope of the country. A student is like clay which can be moulded into any shape. Hence, it is very necessary that the students should be brought up and taught in the right ways. The environment of society is responsible for shaping the character of students. Discipline is the foremost quality of a student; lie has to live in accordance with the strict rules of conduct arid discipline. This is the time of life when the foundation of character is laid. A student without a sense of discipline is like a ship without a rudder. ‘He should be obedient and cautious. He should be humble and simple He should respect his elders and gain knowledge so that he may become a good citizen. A good student should be studious. He should not only study, but also let others study. For this, he will have to be law-abiding. He should spend a lot of his precious time in acquiring knowledge. 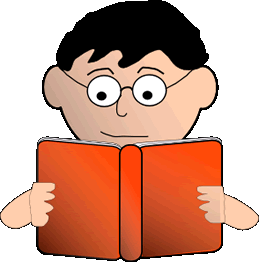 An ideal student develops the habit of reading good books in order to widen his mental horizon. Students are the citizens of tomorrow. It is very necessary for they be strong and healthy. The honour of a country cannot be saved unless it has strong citizens. To keep himself healthy, a student must take part in games and extra-curricular activities. He should be an all-rounder. He should select his friends intelligently and wisely. He must ensure that no evil tempts him. An ideal student should be an amusing companion. He should have pleasing manners. He should not be a coward, because a coward is a curse to society. So he should be bold and hardworking, and be ready to sacrifice himself for the sake of the country. An ideal student must understand how much he owes to his parents. He should be a servant of humanity. He should also take an active interest in social service. He should be active in finding out solutions to various problems of society. An ideal student should be humorous. He should keep the atmosphere lively by his humorous nature. He should never be passive in mind and body. He should take an active part in the activities of the school. He should be. a source of inspiration for others. The school is a community, and an ideal student should learn to be a useful member of it. This means that he should have good relations with his authorities and friendly. He should be frank and fearless. An ideal student will admit his mistake, get it corrected and learn from it. He is fully conscious of his duties and responsibilities. He sets an example for the-younger generation. An ideal student has many good qualities. He presents an ideal model of character before others. Such a student will be an asset to the nation.